Today, a U.S. District Court judge granted wildlife advocates’ motion for a temporary restraining order to block planned grizzly bear trophy hunts in Idaho and Wyoming for at least 14 days. This came after a hearing regarding a high-profile case over the U.S. 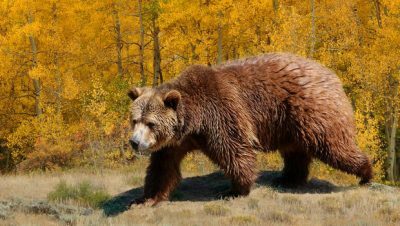 Fish and Wildlife Services’ 2017 decision to strip grizzly bears in the Greater Yellowstone Ecosystem of vital Endangered Species Act protections, and provides the court time to deliberate on the merits of the case.